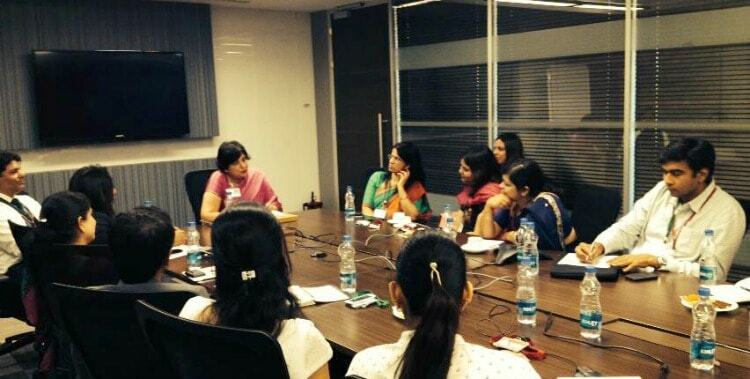 What can the India Head of the $64 Billion Hewlett Packard Company teach you about Leadership? At a TiE interaction with Neelam Dhawan, HP India Managing Director, I had the opportunity to learn valuable perspectives on Leadership and Strategy. 1. What got you here will not get you there. You are a star at what your job – as a CEO, a rockstar sales person or a brilliant coder! Means you will grow to be a more successful CEO, a successful sales manager or an excellent project manager, right? Neelam Dhawan believes that just because you were the best sales person does not guarantee that you would be a very successful brand head unless you learn everything about your new position and train yourself to excel at the new job. As executive coach, Marshall Goldsmith says in his bestseller, What got you here won’t get you there, – success depends on our ability to tackle the now, not on our past achievements. As successful people we can become more successful through unlearning some traits that helped us achieve success in the beginning, learning some new traits and applying rules of change to get ahead. How many eyes do you think are on you? If you are a CEO or a business head, everyone is watching your performance as a leader in the first 3 months. From your employees, to your board of directors, to your investors. If you miss the first quarter targets, you will be written off as a mistake. Make no mistake about that! Don’t be fooled by the ‘take your time to settle down’, ‘no need to worry about profits at the moment talk’. You are in the hot seat for the first 90 days and Keep your nose to the ground, be direct and strong. Learn everything that needs to be learnt about your job, make necessary changes and then go ahead and shine! 3. Only the paranoid survive. Are you comfortable with the way your business in running? You heard me right! Paranoia is great for success. As Jim Collins writes about in ‘Great by Choice’, the most successful business leaders have a trait called ‘productive paranoia’. As leaders if you are not worrying about competition taking away your customers and distributors you will lose them, says the HP India MD. You need to get bothered and worked up every 3-5 months about how changing business trends, technology and customer perceptions will affect your business. You need to be paranoid to ensure that you know your customers, competitors and partners thoroughly. This will enable you to act way before the competition snares away your customers with lower prices, or your distributors with higher margins. Stop being comfortable and start becoming paranoid. How loyal do you think are your customers? Neelam Dhawan says that in India, (and everywhere else I suppose!) customers are always right and are also prone to changing their minds. They are as comfortable with your competition as they are with you, provided the price is right. So understand your customer – what they need, what they appreciate, what keeps them coming back to you? Understand these patterns and incorporate them in your business processes. It’s all about the customer! As a CEO or an entrepreneur you are lucky if you get a good mentor. It is difficult for business leaders to bounce-off radical ideas with subordinates or even bosses for fear of being ridiculed or wrongly understood. So it is better to have a formal or informal coach/mentor to track and guide your career progression. A strong network is equally important. As a woman it may be challenging to network with business colleagues/bosses and clients who are men, but it’s not impossible. Joining groups like TiE could be one platform for effective networking. 6. Define your own version of ‘success’. Neelam Dhawan says that success for her has never been a position, rather it has always been about doing a job well. However, that definition would be different for each one of us. Spell out what success means to you and go get it!